Noticeably missing from Activision’s Call of Duty: Ghosts announcement/confirmation earlier this week was any mention of the title being developed for the Wii U. While many took that as a sign that Infinity Ward’s next shooter would not be released on Nintendo’s console, the publisher has since stepped up to clarify that this might not be the case. Now, “stay tuned” is not exactly a confirmation that the recent Call of Duty: Ghosts Wii U retailer listing is real, but it is far from a statement saying that a port is not in the works. It also worth noting that Activision has a long history of supporting Nintendo’s consoles with the latest Call of Duty titles (even going so far as to port Call of Duty 4 to the Wii 2 years after the fact). 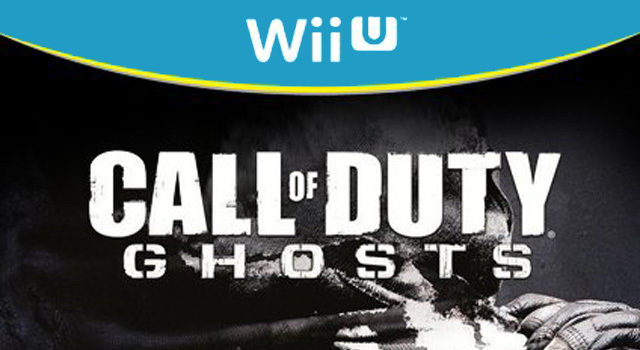 Additionally, all the Nintendo CoD ports have all sold relatively well (with the possible exception of last year’s Black Ops II Wii U port), so there is no reason to believe that Ghosts won’t come to the Wii U.
Activision is set to fully reveal Call of Duty: Ghosts at Microsoft’s next-gen Xbox event on May 21st. It is highly unlikely that we will get an actual confirmation of a Wii U (or PlayStation 4) version of the shooter at the event, however, I would not be surprised if that announcement came soon after the press conference is over. We will keep an eye out for any new information on Call of Duty: Ghosts and let you know as soon as anything is announced. In the meantime, make sure to drop us a line in the comments with your thoughts on what we know of the title so far. Are you planning to spring for a next-gen version of the game, or will you be sticking with your old current gen console?